Hi everyone...how r u all doing today??? Well, it's Monday...and my son, Rishie has started his kindergarten holidays from today till 3rd Jan2010! Yesterday, we attended his school concert at Crystal Crown Hotel. It was a great evening for him as he performed a dance for Chinese song together with his classmates. Anyways, since he'll be at home for another 2weeks+ holidays...easy la for Love! He can get some rest too! 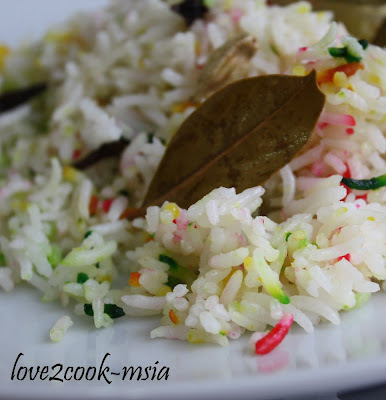 hihi..
Okey, for today's lunch...Love made Colourful Pilau Rice! 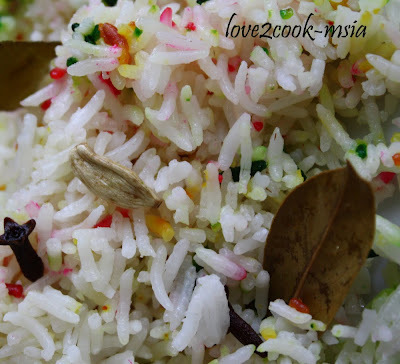 It is definately a very simple rice to do...and of course it tastes really good if u have the correct companion! 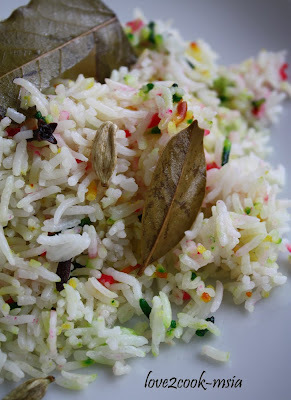 Wash the basmathi rice and drain well. Leave it aside. Melt butter in a wok and add the cloves, cardamom pods, bay leaves and salt. Stir-fry awhile and add the washed basmathi rice. Mix together in a lower heat. Transfer the rice together with all ingredients into a rice cooker and add 3 cups of water. Mix well. Turn on the power and cook rice like normal. Once the rice is cooked, turn off the power. After 30 minutes or so...gently mix the rice using a fork. Ready to serve! 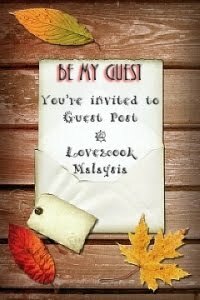 As for the main dish, Love cooked Chicken in SpicyCurry... Check it out the next post!